Enjoy the magnificent views of the ski slopes and mountain skies of Beech Mountain from the balcony in this large 2 bedroom, 2 bath condo that sleeps six. 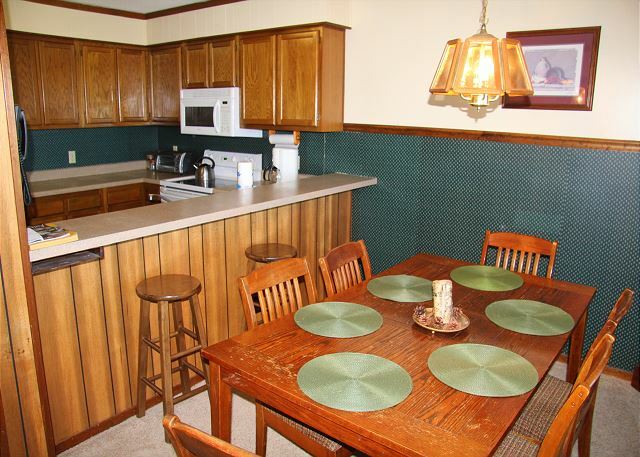 This unit has a full kitchen with all the conveniences of home, including a coffee maker, toaster oven, and crock pot. 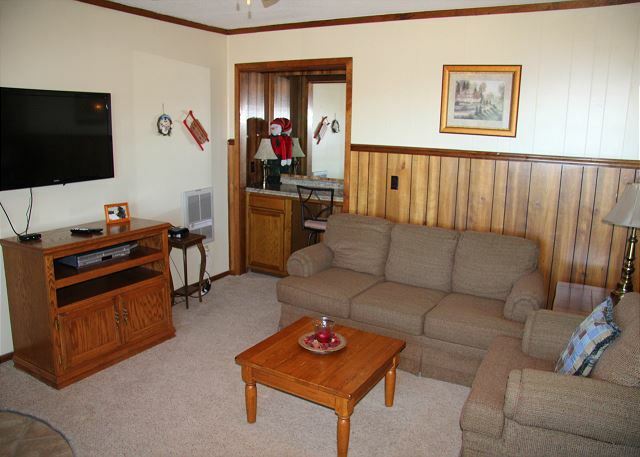 The living room has a sofa-sleeper, side chair, Lazyboy recliner, and a rocker. 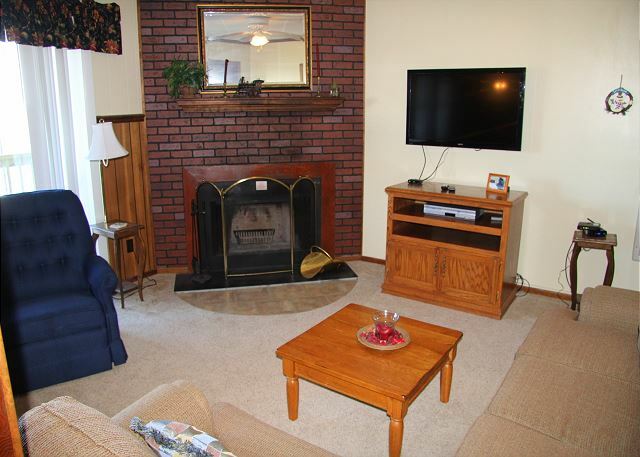 Relax on the new plush carpet and enjoy the wood-burning fireplace while watching the 42” flat screen TV/DVD/VCR movies, playing cards, or games. Surf your computer using the wireless internet provided. 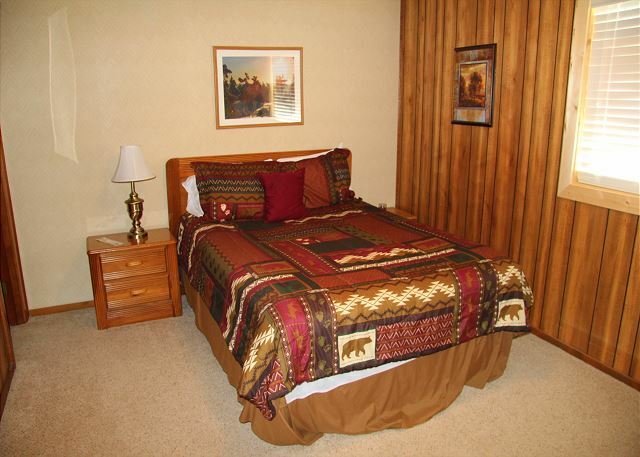 The master bedroom has a queen bed with a wall-mounted 32” TV/DVD and private bathroom and walk-in closet. 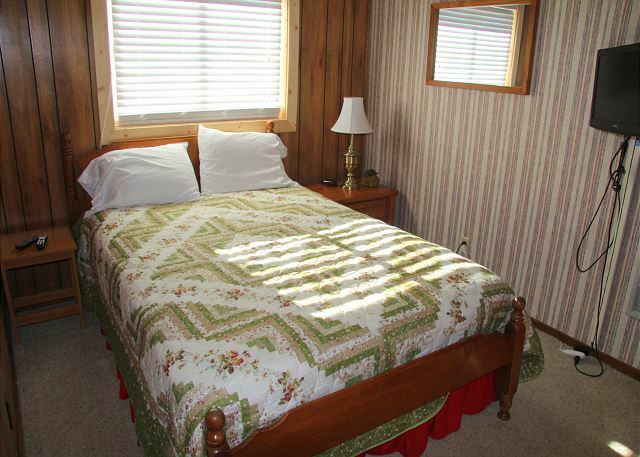 The guest bedroom has a full bed and also a flat-screen TV/DVD. Each bathroom is supplied with towels and hair dryer . 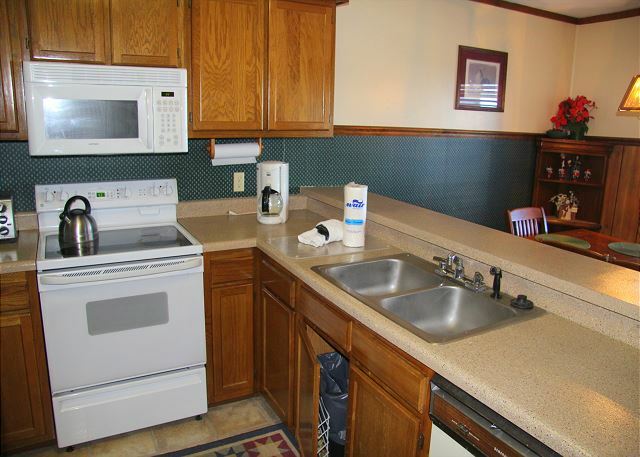 This unit has a full-sized washer and dryer so no need to worry about going home with dirty laundry or staying at the Pinnacle Inn too long. Breathe in the smell of the mountain air from the balcony as you watch skiers at Ski Beech day or night during ski season or just enjoy the ever changing views as you gaze across the beautiful NC mountains.